With a few adjustments, you can still take up new sports or continue with your favourite sports if you are blind or partially sighted. Blind and partially sighted people can gain the same enjoyment and benefits as anyone else. Our factsheet provides more information on how to get involved in a number of sports, and what adaptations usually need to be made. Blind and partially sighted people can participate in a wide variety of sports, from bowls to cricket, and from water-skiing to tandem riding. Most activities may require modest adaptations of rules and equipment to make them accessible – for example playing cricket with a size 4 audible ball, or using a sighted or audio guide to help guide you to the tee in golf. Sports such as Goalball, are played by blind and partially sighted people only. British Blind Sport governs most blind sport competition from local to international level and there is a sporting structure for competition in most sports. If you enjoy rambling, the Ramblers Association will be happy to put you in touch with a rambling group in your area which can accommodate blind and partially sighted ramblers. You can go on pre-arranged walks in the countryside, or, in towns and cities. Check out a full list of sports that blind and partially sighted people can get involved in. Watch our film and be inspired by blind and partially sighted athletes who push their limits to realise their dreams. Many sporting venues are improving their access for disabled people. You can visit the Level Playing Field website for information on the different facilities available at football, rugby and cricket venues. You can also contact the venue directly before visiting to check their facilities and let them know your access needs. A number of venues offer audio description during matches, some specifically for blind and partially sighted people (for example those using the Access Audio Aural Aide system). Many professional league and non-league football clubs, some rugby clubs, and Lords Cricket Ground provide commentary. You can also watch sport using audio description on your television. Are you affected by sight loss? 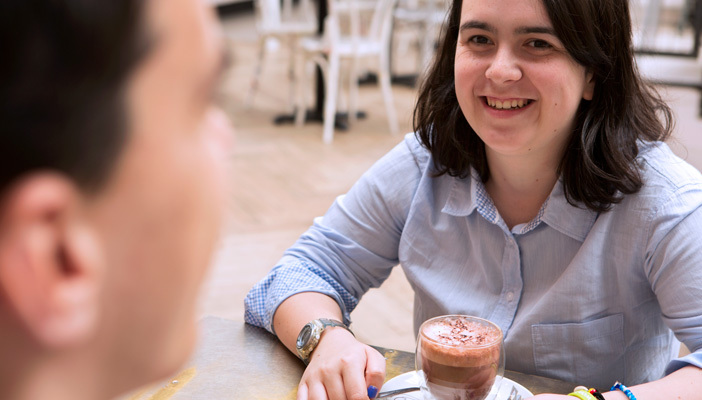 Join RNIB Connect, the vibrant new community for blind and partially sighted people, their families, friends and carers. Have a look at some inspiring stories and advice on how to look after yourself, plus the latest on research and treatments. 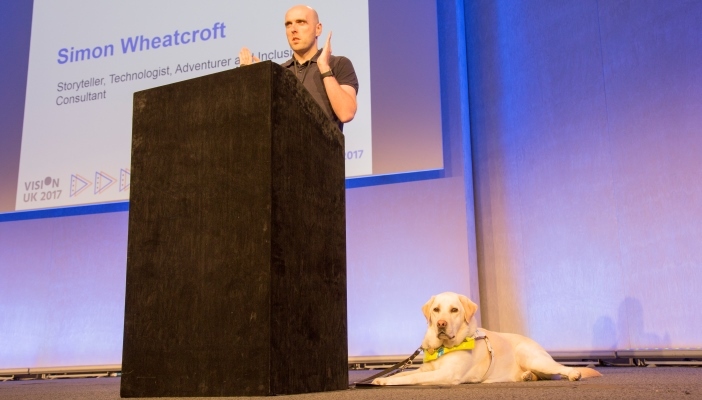 At the Vision UK 2017 conference, Simon Wheatcroft, spoke about his dream of competing in races without guide runners and what he’s doing to achieve it. Find out about the news and events in your local area.